Draft: 2008, San Diego Padres, 42nd rd. Brad agreed on a one-year deal with a club/player option for 2020 with the Cubs on February 11 ... has appeared in eight major league seasons with San Diego (2011-13), Baltimore (2014-18) and Atlanta (2018), going 31-23 with 33 saves and a 3.08 ERA (156 ER/456.0 IP) in 424 outings, all in relief ... Has appeared in 269 games since 2015, the 11th-most in the majors ... Since the start of 2014, ranks second among major league relievers with 28 wins (David Robertson, 32) ... Appeared in a career-high 71 games in 2016 ... was named an A.L. All-Star ... went 10-4 with a 2.05 ERA (18 ER/79.0 IP) with Baltimore ... Selected by San Diego in the 42nd round of the 2008 draft ... Attended Monmouth University (N.J.) ... finished his collegiate career as the school's all-time leader in career wins (29) and strikeouts (277) ... inducted into the Monmouth Athletics Hall of Fame in December, 2016. Brad went a combined 2-4 with 12 saves and a 3.59 ERA (25 ER/62.2 IP) in 69 relief appearances between the Orioles and Braves ... held righties to a .243 average (37-for-152), while lefties batted .330 (35-for-106)... Went 1-2 with 11 saves and a 4.85 ERA (21 ER/39.0 IP) in 42 outings with Baltimore ... was traded to Atlanta July 29 and went 1-2 with one save and a 1.52 ERA (4 ER/23.2 IP) in 27 outings with Atlanta ... Appeared in two NLDS games, allowing one run on two hits in 1.1 innings. Went 4-5 with 18 saves and a 3.18 ERA (24 ER/68.0 IP) in 67 appearances…Worked at least 1.0 inning in 58 of 67 games...Is tied for fourth in the AL in appearances (138) since the start of 2016...His 18 saves led Orioles pitchers, and his 67 appearances were second-most on the team...Went 18-for-24 in save opportunities...Pitched 1.0 scoreless inning without allowing a baserunner in each save opportunity to record a "perfect save" on 4/19 at CIN, 4/20 at CIN, and 4/21 vs. BOS… Became the fifth pitcher in O's history to toss a "perfect save" on three-straight days (4/19-21) joining Jorge Julio (2003), Jim Johnson (2011), Darren O'Day (2015), and Zach Britton (2016)...Recorded his first save of the season on 4/19 at CIN, his first save since 6/8/16 vs. KC...Held divisional opponents to a .188 average (34-for-128) in 33 games against the AL East...Posted a 2.58 ERA (11 ER/38.1 IP) and limited hitters to a .167 average (22-for-132) in 38 first-half appearances...In 11 September appearances, Brach posted a 0.73 ERA (1 ER/12.1 IP) and held opponents scoreless in nine of those outings...Since the start of 2014, leads all Major League relievers with 26 wins. Had three stints with the O's: May 2-6, May 16-June 9, and June 21-end of the season. Made O's debut, May 3 @MIN (1.1IP, 3ER). Tossed career-high 4.0 scoreless innings, May 21 @PIT. Struck out career-high tying 4 twice (June 27 vs. TB and July 6 @BOS). Earned his 1st O's win, June 23 vs. CWS, beginning a stretch of 25 games (through September 2) during which he would pitchto a 1.07 ERA (33.2IP, 4ER, 16H, 10BB, 30K). Set a career-high with 12 consecutive scoreless outings, July 31-August 28 (14.1IP). Led AL relievers with a .875 winning percentage…Tied for 4th among AL relievers in wins (seven). Became the rst reliever this season to earn a victory in three consecutive outings (July 2-6). Struck out 43 batters in 23.1IP in 17 games with Triple-A Norfolk (3-1, one save, 3.47 ERA, 26H, 6BB). Earned the win in Game 2 of the ALDS, tossing 0.2 scoreless inning. Appeared in Game 2 of the ALCS, allowing one hit over 1.2 scoreless frame. Made his first career Opening Day roster, spending the majority of the season in the Majors with San Diego.Made a career-high 67 relief appearances, second-most on theclub behind Luke Gregerson (77).Led all National League rookies with 67 games pitched (3rd inMLB) and finished with the second-most strikeouts (75) amongall NL rookie relievers (5th in MLB).Allowed just five of his 46 inherited runners to score for SD, or10.9% of inherited runners, the second-best percentage amongall qualifying Major League relievers in 2012.Struck out 75 batters in 66.2 IP for a 10.1 strikeouts per 9.0 IPratio...his 75 strikeouts led all Padre relievers in 2012.Held right-handed hitters to a .188 (28-for-149) average whilelefties hit .239 (22-for-92) off him for San Diego.Allowed 11 home runs on the season, tied for third-most amongNL relievers.Recalled from Triple-A Tucson on 4/5, prior to the start of the season, and went 0-1 with a 5.06 ERA(3 ER/5.1 IP)in five outings before being optioned back to Tucson on 4/16.Recalled for his second stint on 5/4, posting a 4.03 ERA (10 ER/22.1 IP) with 28 strikeouts against 15 walks and16 hits allowed before being optioned back to Tucson on 6/27.Recalled for a third and final time on 7/4, going 2-3 with a 3.46ERA (15ER/39.0 IP), 44 strikeouts against 11 walksand a .196 (28-for-143) opponents average over his final 40 outings from 7/4 through the end of the season.Earned his first career win on 8/10 at PIT, working 2.0 innings in the Padres come-from-behind win that day.In 10 outings total for Tucson, went 2-1 with a 2.79 ERA(3 ER/9.2 IP) and five strikeouts against just one walk. 2011: Split the majority of the season between Double-A San Antonio and Triple-A Tucson, also seeing his first Big League action over the last month of the season ... Selected from Tucson on 8/31 and made his Major League debut that day at Dodger Stadium, working 1.1 scoreless frames with three strikeouts ... Named a Texas League Mid-Season and Post-Season All-Star ... Recorded the 100th save of his professional career on 7/1 for the Missions at Northwest Arkansas ... Led the Texas League in saves and games finished (40) despite being promoted to Triple-A on 7/6 ... His 34 saves overall ranked fourth-most among all minor league pitchers ... Named PCL Pitcher of the Week 8/22-28. The California League's pitcher of the year posted aleague-record 41 saves and a 2.47 ERA (18 ER/65.2 IP) forthe Single-A Lake Elsinore Storm. ... Honored as the Padres' organizational pitcher of the year afterimproving professional career numbers to 9-6 with a 1.90 ERA (32ER/151.2 IP), 78 saves, 189 strikeouts and 17 walks ... fanned morethan a batter per inning while holding opponents to a .196 battingaverage in his pro career. ... Fanned 74 while walking only 11 over 62 appearances en route to a 5-2 record in 2010. ... Named both a postseason and midseason Cal League All-Star. ... Notched a 2.84 ERA (4 ER/12.2 IP) with a 1-1 record in 11 Arizona Fall League games for the Peoria Saguaros selectedto play for the West Division in the AFL Rising Stars game. Honored as the MLB.com Class-A Relief Pitcher of the Year, pitching the entire season at Single-AFort Wayne. ... Tallied a Midwest League-leading 33 saves in 60 appearances for Single-A Fort Wayne, notching a 1.27 ERA (9 ER, 63.2 IP). ... Honored as Midwest League midseason and postseason all-star. ... Was 3-3 with 82 strikeouts and 11 walks. In his first pro season for Rookie-Level Arizona, fanned 33 with only five walks while logging a1-1 record and 2.01 ERA (5 ER/22.1 IP) in 18 appearances. 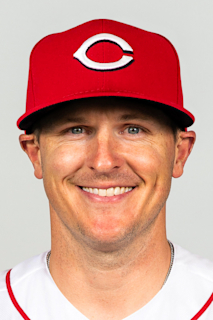 February 11, 2019 Chicago Cubs signed free agent RHP Brad Brach. October 29, 2018 RHP Brad Brach elected free agency. July 30, 2018 Baltimore Orioles traded RHP Brad Brach to Atlanta Braves for Future Considerations. July 30, 2018 Atlanta Braves activated RHP Brad Brach. July 28, 2018 Brad Brach roster status changed by Baltimore Orioles. June 21, 2014 Baltimore Orioles recalled RHP Brad Brach from Norfolk Tides. June 9, 2014 Baltimore Orioles optioned RHP Brad Brach to Norfolk Tides. May 16, 2014 Baltimore Orioles recalled Brad Brach from Norfolk Tides. May 6, 2014 Baltimore Orioles optioned RHP Brad Brach to Norfolk Tides. May 2, 2014 Baltimore Orioles recalled Brad Brach from Norfolk Tides. March 25, 2014 Baltimore Orioles optioned RHP Brad Brach to Norfolk Tides. November 25, 2013 San Diego Padres traded RHP Brad Brach to Baltimore Orioles for RHP Devin Jones. November 20, 2013 San Diego Padres designated Brad Brach for assignment. September 3, 2013 San Diego Padres recalled RHP Brad Brach from Tucson Padres. August 26, 2013 San Diego Padres optioned Brad Brach to Tucson Padres. August 24, 2013 San Diego Padres recalled Brad Brach from Tucson Padres. July 14, 2013 San Diego Padres optioned Brad Brach to Tucson Padres. July 8, 2013 San Diego Padres recalled Brad Brach from Tucson Padres. June 26, 2013 San Diego Padres optioned Brad Brach to Tucson Padres. June 23, 2013 San Diego Padres recalled Brad Brach from Tucson Padres. May 18, 2013 San Diego Padres optioned Brad Brach to Tucson Padres. July 4, 2012 San Diego Padres recalled Brad Brach from Tucson Padres. June 28, 2012 San Diego Padres optioned Brad Brach to Tucson Padres. May 4, 2012 San Diego Padres recalled Brad Brach from Tucson Padres. April 16, 2012 San Diego Padres optioned Brad Brach to Tucson Padres. April 5, 2012 San Diego Padres recalled Brad Brach from Tucson Padres. April 3, 2012 San Diego Padres optioned Brad Brach to Tucson Padres. August 31, 2011 San Diego Padres selected the contract of Brad Brach from Tucson Padres. July 4, 2011 Brad Brach assigned to Tucson Padres from San Antonio Missions. April 5, 2011 Brad Brach assigned to San Antonio Missions from Lake Elsinore Storm. January 6, 2011 San Diego Padres invited non-roster RHP Brad Brach to spring training. August 31, 2010 Brad Brach assigned to Peoria Saguaros. April 5, 2010 Brad Brach assigned to Lake Elsinore Storm from San Diego Padres. March 16, 2010 RHP Brad Brach assigned to San Diego Padres.